Here is a sweet infographic (made by our resident designer, Tyler) that shows the IPA symbol, place of articulation, and a corresponding word in English. Pronounce the words from left to right. 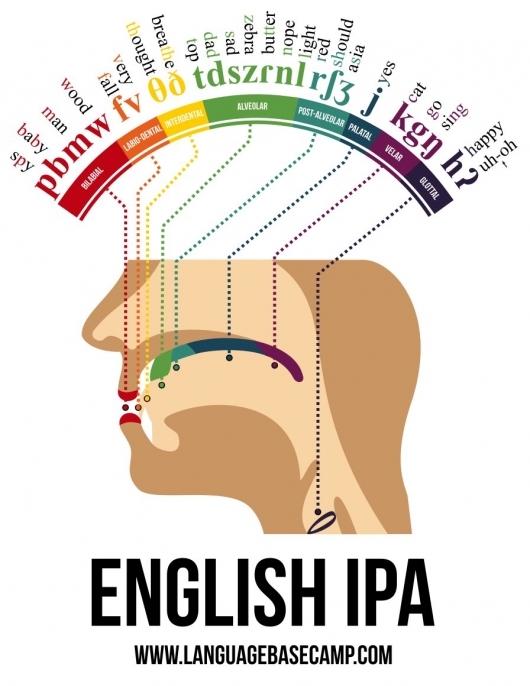 Can you feel where the sounds are being produced and find them in the IPA chart above?